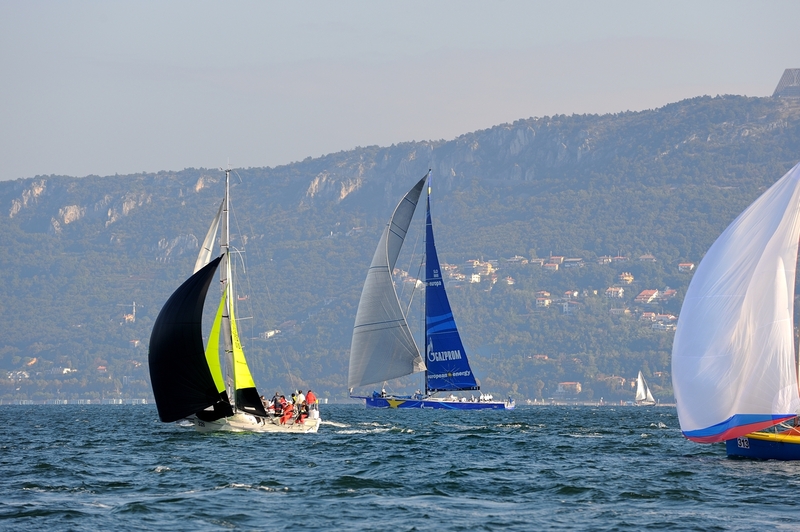 165 yachts gathered this morning at the starting line for the Bernetti Cup, an approximately 15-nautical-mile long sailing race between the cities of Trieste and Sistiana in Italy. Due to safety reasons, the start was organized in two groups with a 20-minute delay on a very short starting line. 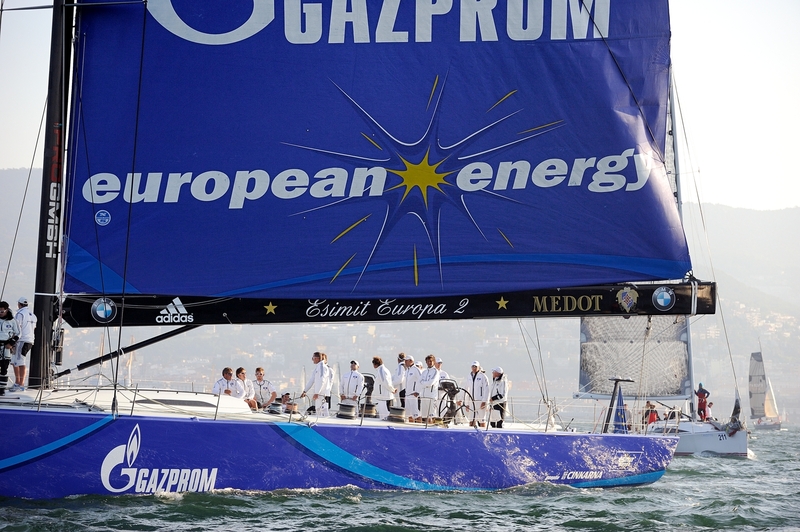 The Esimit Europa 2 started at 9.30 AM CEST in the first group (Open Sailing class), in very variable wind conditions at the starting line, but soon after the start the wind picked up and remained constant between 10-20 knots of speed all the way to the finish. 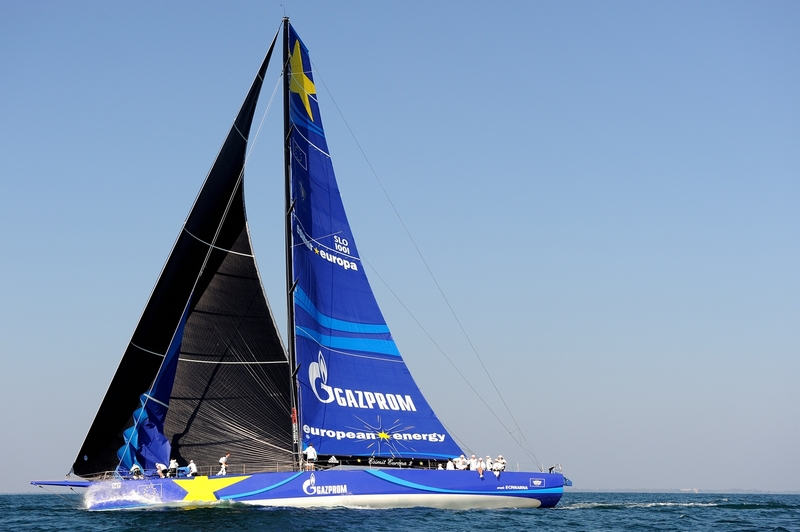 The European-flagged maxi yacht maintained a good pace, increasing the advantage over its competitors, and crossed the finish line at 10:22.03 AM CEST as the first in the fleet, after only 52 minutes and 3 seconds of sailing, thus reaching its 33rd consecutive line honours victory. 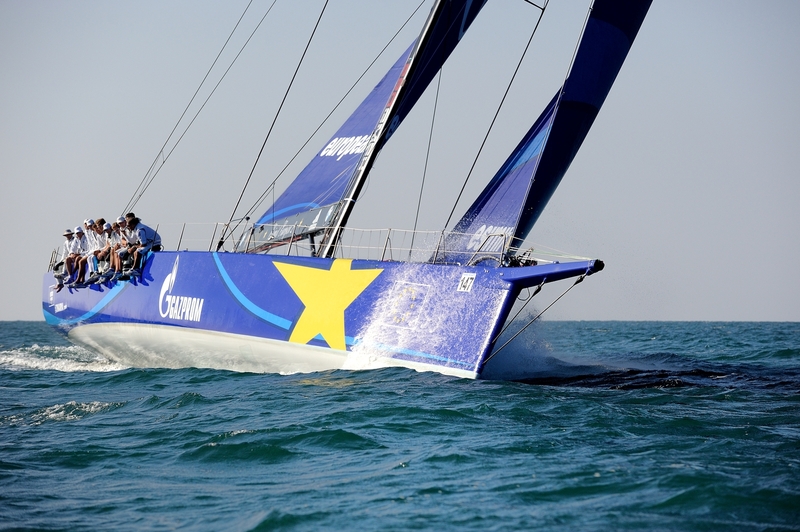 The multinational crew of top sailors coming from eleven different countries, that sail together for Europe, was once again led by the skipper Jochen Schümann. 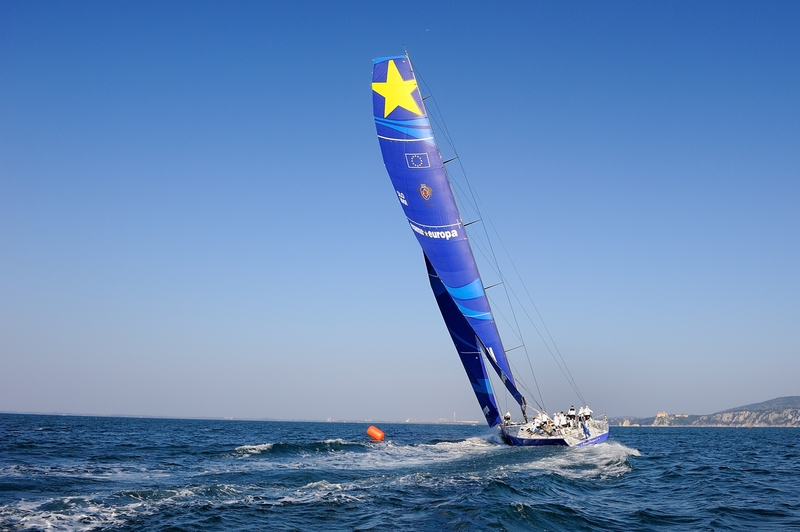 “Today the racing conditions were excellent. 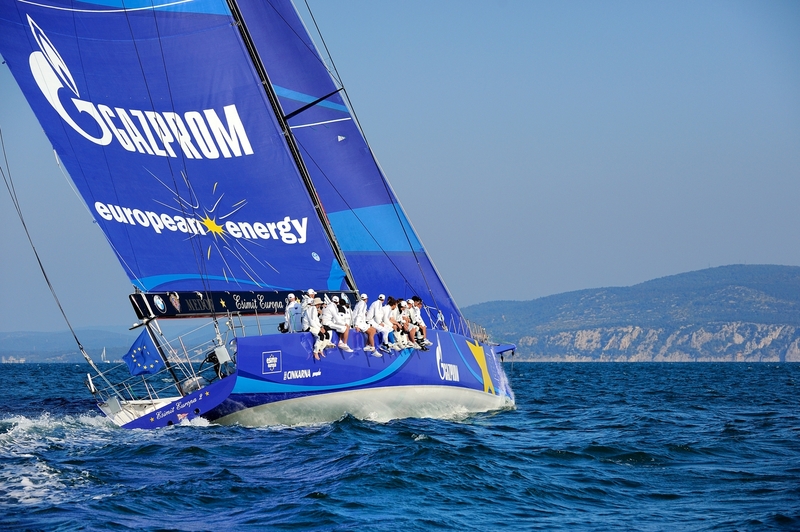 The famous north-easterly wind Bora, which blows here in the Gulf of Trieste, was consistent, the conditions were right for this boat and we finished in an excellent time, which I think will be difficult to improve.” said Schümann after the race. 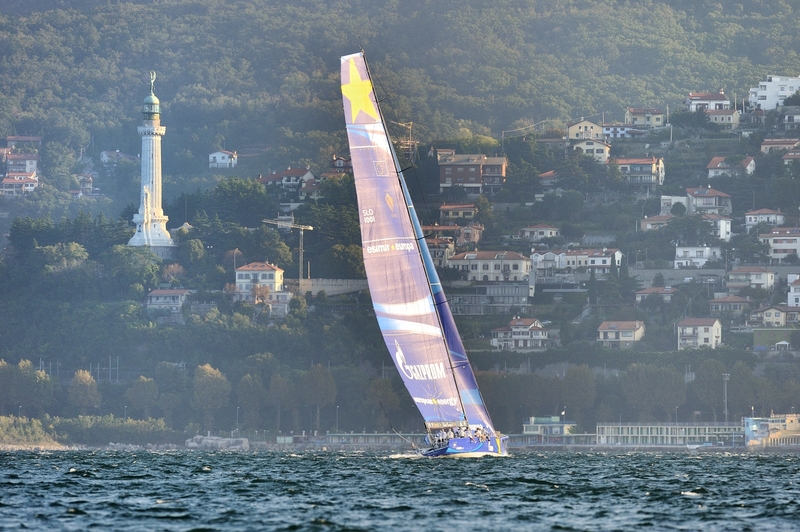 This was the 43rd version of the Bernetti Lombardini Cup, organized by the sailing club Società Nautica Pietas Julia, and is one of the eight races in the Lombardini competition series.